Mayfair Aesthetics Laser & Skin Clinics specialise in highly effective, permanent, painless laser hair removal using the market leading Soprano Ice Platinum system – book your complimentary patch test and consultation appointment at our award-winning Pimlico, Moorgate or Islington Clinic today! Spring Sale – book a patch test during April and get a 50% discount when you book a course of 6 (or more) laser hair removal treatments. Please call our central booking and information line 0207 354 4000 or for your convenience, you can make an online booking at either of our clinics for a laser patch test and consultation by clicking this button and following the steps. Please note, male Hollywood and Boyzilian is only available at our Moorgate Clinic with Kate. Full body course are not eligible for the multiple areas discount as these packages already include a much larger reduction. Laser hair removal with the Soprano Ice Platinum system is virtually pain-free. You will experience a gradual warming sensation in the area being treated until the area feels hot (often likened to the feeling of a hot stone massage). Some clients may feel a pins and needles sensation during treatment. Unlike during traditional laser treatment, some clients actually fall asleep during their service. Yes, we cannot treat anyone without first patch testing each area to be treated. The patch test allows us to check that your skin and hair is suitable for laser hair removal treatment and to tailor the machine’s settings to your personal requirements. At Mayfair Aesthetics we follow all the treatment protocols to the letter, including patch testing. A general inspection of your skin will take place and then a small area (about the size of your palm) will be exposed to the laser light. We explain the treatment in detail and get you to complete a medical questionnaire before the patch test takes place. The Soprano Ice Platinum system is suitable for all skin tones and works well on darker blonde, brown and black hair. However, as lasers target the melanin pigment within hairs, pale ginger, pale blonde, white or grey hair may not get a good result with laser treatment. We cannot treat you if you have taken accutane or other anti-acne medications within the last 6 months, you are sun burned or have had significant sun exposure within 1 week of treatment, are taking daily anti-biotics, you are pregnant or planning on becoming pregnant, have photo-sensitive epilepsy, lupus, type 1 diabetes or a history of keloid scarring. If you are taking and medication or supplement which may cause increased photo-sensitivity we will request a doctors note prior to any treatment or patch test. 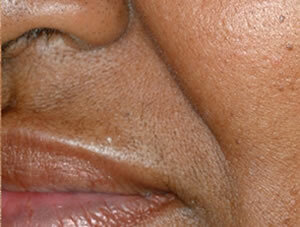 Facial areas are normally treated every 4 weeks and body areas every 6 weeks. After 4 treatments, if the hair growth has significantly slowed, we may suggest that you spread out further treatments. 6 to 8 treatments are recommended to achieve optimum results with some stronger hair growth areas such as the face and private area possibly needing more treatments. The Soprano Ice Platinum system is one of the safest on the market. Rather than delivering all the laser energy in single shots such as with traditional laser systems, the Soprano Ice Platinum system delivers 10 low energy pulses per second while the applicator is passed back and forth over the area to be treated. Energy and heat builds up gently over a few seconds. After treatment in some rare cases, you may experience mild redness or slight sensitivity and in extremely rare causes mild blistering may occur. Our primary focus is always your safety. Aloe Vera gel is excellent to calm and soothe the skin after treatment. Before treatment you should leave hair to grow as normal for 6 weeks. Avoid other hair removal methods such as waxing, threading or hair removal creams and use only trimmers or a razor to control hair growth. 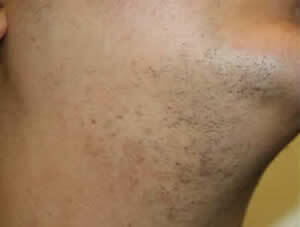 If the area has been recently waxed, plucked or threaded, there will be no hair present for the laser to effect. You should avoid sun exposure, sunbeds or any kind of fake tan for 2 weeks prior to any laser treatment. 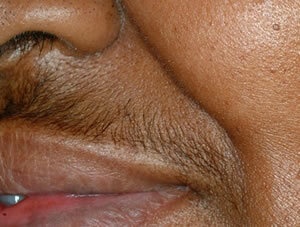 Areas to be treated should be shaved smooth around 8 hours before your visit. This allows skin to calm down if any irritation occurs and also does not leave enough time for hair regrowth to occur. After laser treatment you should avoid anything that raises your body temperature such as sun bathing or sun beds, hot baths or showers, steam rooms, saunas and vigorous exercise. Our team is always available to provide continuing advice and support even after your final session is complete. Yes, depending on the treatment package purchased, we can split courses of 6 treatments into 2 or 3 pre-paid instalments and courses of 8 treatments into 2, 3 or 4 instalments. Speak to our clinic manager for more details.